The WWE Superstar opens up about finally getting his WWE Championship shot at WrestleMania, his struggle, advice from The Rock, his elaborate stunts at the Royal Rumble, Daniel Bryan's hemp title, and more. He was never supposed to be here. Not in this match. Not on this stage. He was good in the Intercontinental Championship scene, the United States title scene, he has been entertaining in a stable. He’s a good “B+ player”, an eloquent term once used for the current WWE Champion a handful of years ago. But at 37 years old and after 11 years of chasing the main event scene, Kofi Kingston is done with those labels. He’s knocking down doors and is ready to shatter the glass ceiling at WrestleMania as he faces off against Daniel Bryan for the WWE Championship. The previous two months have perfectly served as a compacted struggle that Kingston has faced throughout his WWE career. He’s went through gauntlet matches, faced anybody and everybody, told he’d get the WrestleMania spot only to have it taken away yet again. But now he’s here. He’s prepared. 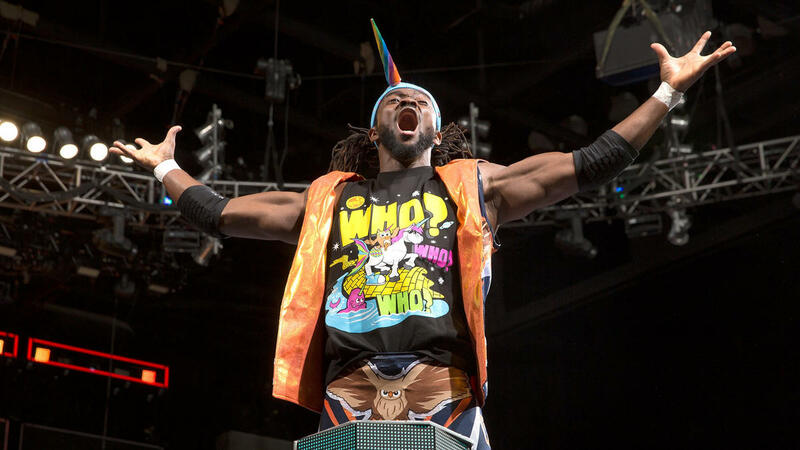 And on Sunday night in MetLife Stadium in front of a raucous WrestleMania crowd, Kofi Kingston will attempt to become the first ever African American WWE Champion in history. Dirtfork: You face off against Daniel Bryan for the WWE Championship at WrestleMania. Tell us what fans can expect? Kofi Kingston: I feel like Daniel and I match up really well from a storyline perspective. It wasn’t very long ago that he was the guy that people were so passionately behind and pushing for the “yes movement” and making sure he had a match on WrestleMania. Now you fast forward a few years later and now he’s the one on the opposite end, calling me names he was being called. It’s a great story and one that people are emotionally invested in which kicked off two months ago but at the same, it has really been going on for 11 years with the struggle I’ve had trying to break into the main event scene and become WWE Champion. It’s going to be awesome. There’s so many emotions going on. On SmackDown with Big E and [Xavier] Woods being the ones to qualify me for WrestleMania was just so emotional. The whole New Day philosophy has been to make your brother better. That culminated in the gauntlet match to get me to WrestleMania. It’s so humbling and I’m so grateful for that. Dirtfork: Was their a moment where you thought you were finally going to break through only to have the rug pulled out from under you? Kofi Kingston: Several times. I talk about that all the time. The first WrestleMania I was a part of was WrestleMania 25. I was in the Money in the Bank ladder match, I did some pretty unique things, and came through the curtain and had a big standing ovation and the very next night at Raw, I wasn’t even booked. There’s been a lot of highs and lows. Us as The New Day, working tirelessly behind the scenes to try and get on television and do something new and we finally get on five months after trying to get on for such a long time only to be rejected by the people and they told us that we sucked [laughs]. I could name a ton of different scenarios. Even these past two months have been a rollercoaster. I wouldn’t have it any other way. That’s just been the way it’s been over the last 11 years. Dirtfork: How does your family feel about Kofi Mania? Kofi Kingston: They have been glued to everything that’s happening. It’s funny because we don’t let our kids watch that much TV. The only time they ever see WWE is when we are in town and we have the match and go to the show. The kids right now don’t quite grasp what is happening. They’re always happy to see me go out and wrestle and have matches and everything like that but as far as the gravity of the situation and the cusp of history that we are on the verge of eclipsing, is not completely understood but I think when they look back on it, they will realize how important it is and how they were front row to see it all go down. I get choked up thinking about the level of support I have got from E, Woods, and the WWE Universe, and people in the office; strangers coming up and talking to me about how much it means to them for me to be in this light right now. Dirtfork: What’s your thoughts on Daniel Bryan’s hemp title and do you have plans to change that? Kofi Kingston: I’m not opposed to the title. I think his heart is in the right place, he’s trying to do something for the environment. From what I understand, that title is very light in your bag. Being a champion, this is the biggest first world problem to talk about but one of the pet peeves we have is how heavy the championship titles are in our bag. You got to lug around this extra 10-15 pound belt in your bag and it’s kind of cumbersome. Daniel’s is like three pounds. As far as the aesthetic of it, my wife is vegan, my kids are both vegan, I don’t eat red meat, I don’t do dairy, you know what I’m saying? So I can appreciate where his mind is at in trying to do something for the environment. I just think it’s the way he goes about it, such a pampas way that it makes you want to cheer against what he’s fighting for. I don’t know if I’ll change the title if I were to win it, I just want to get through first. I’m real superstitious. Dirtfork: What’s the mindset preparing for WrestleMania week? Kofi Kingston: It never gets old. You never get used to it. You’re always amped up when WrestleMania season comes around especially that Sunday when you go out there for your match. I’m always giving 100 percent but somehow you find more to give because it’s WrestleMania and you do things with a little more snap, a little more crisp. The energy of the people energizes the WWE Superstars. It’s a special day for sure. Dirtfork: You’re always known for your entertaining and unique acrobatics at the Royal Rumble to avoid elimination. Are you ever nervous that it’s not going to go the way you hoped but are you just confident you’re getting back in the ring? Kofi Kingston: I think I used to be nervous the first couple like the handstand, I was pretty nervous, the jump from the barricade to the ring. I was a little nervous that someone might stick their hand out and trip me as I’m going out or something because you never know what’s going to happen. But these days, I don’t get nervous about being in the ring. I’m very much at home in the ring and I’ve been doing it for a very long time so when Rumble season comes around, I don’t need to put any added pressure to come up with something. It either comes or it won’t. I’ll either get eliminated or I won’t. I just have faith that an idea will come and that people will be entertained by it. Dirtfork: How have you changed as a performer over the years? 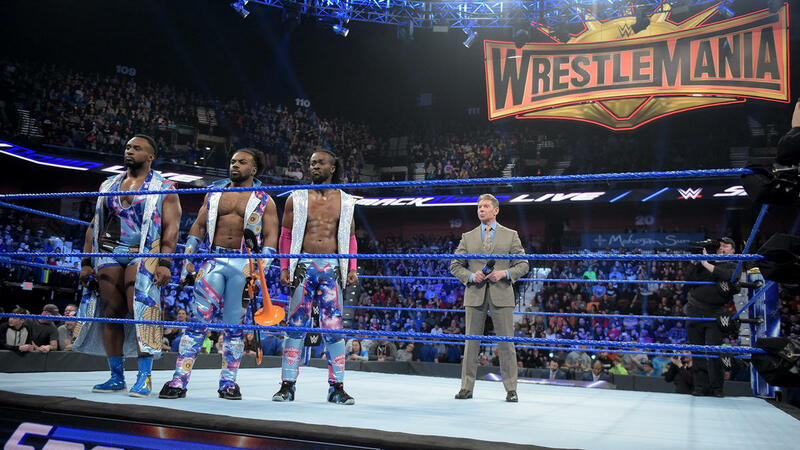 Kofi Kingston : I think I’m just a lot more confident now which obviously comes with experience especially when we were able to form The New Day, I was given a lot more liberty to be myself and speak on the microphone and branch out in terms of character. Now it just feels very natural where earlier in my career, I would get nerves about worrying about what to say and what to do. Now I feel I’m more polished as a performer and confidence that I’m going to go out there and steal the show. Dirtfork: Favorite wrestlers growing up? Kofi Kingston: It would always fluctuate between three guys; Shawn Michaels, Rey Mysterio, and Ricky “The Dragon” Steamboat. They were all underdogs, high flyers, and really entertaining. Dirtfork: Have you had anyone that has given you great advice to help prepare you for this moment? Kofi Kingston: Over the years, I’ve had so many great teachers. I remember it was WrestleMania 28 in Miami and I did a media day and Dwayne “The Rock” Johnson was there and I asked him for some advice. I remember him saying, ‘Don’t worry so much about wanting to look strong.’ He said when he was young, he wanted to look strong. He was always worried about doing things that would make him look weak. At the time, I didn’t understand that but when we had our ‘bad guy’ run with The New Day, I understood that fully. Because we would go out there and twerk and get beat up a lot but at the same time, people would remember us for the entertainment that we gave them. Guys like Dr. Tom Prichard, when we were in FCW in Florida before we got signed to WWE’s main roster, and Dr. Tom would always made us do one-hour broadways. We had one-hour matches in practice. We didn’t have AC in the building. There was no cross-breeze or anything like that and we had to have a one-hour match. When I was going through the gauntlet, now, nine years later, I remembered what we did in FCW and mentally, I was prepared to go an hour in the ring because I had done it before. Dirtfork: What will be going through your mind and your heart if you’re fortunate enough to be standing in the middle of the ring at MetLife Stadium as the new WWE Champion at WrestleMania? Kofi Kingston: Ever since I was a kid, this is all I wanted to do. We used to have wrestling matches with each other as kids. Kids out there, don’t try what we do. It’s not the right thing to do but I would always pretend to be in the main event at WrestleMania or wrestling for the WWE Championship and we’re very close to being able to do that. The term of having your dreams come true gets thrown around a lot. It’s cliche but for me, this could potentially be my childhood dream come true. I imagine it would be ridiculously emotional. You can see the goosebumps popping up on my arm right now. But we’ll cross that bridge when it comes as well. Hopefully, it goes in my direction and we’ll all find out together. WrestleMania will be live from the MetLife Stadium on Sunday April 7 and streamed around the world on WWE Network. Kofi Kingston faces Daniel Bryan for the WWE Championship! Becky Lynch, Charlotte Flair and Ronda Rousey triple threat match for the WWE Raw Women’s Championship; Seth Rollins faces Brock Lesnar for the WWE Universal Championship, Triple H faces Batista in a no holds barred match, AJ Styles vs Randy Orton and much more. WrestleMania is a week-long celebration and will include WrestleMania Axxess, The 2019 WWE Hall of Fame induction Ceremony, NXT TakeOver, Monday Night Raw and SmackDown Live all at Barclays Center. xavier woods. Dirtfork. Pro wrestling. NXT. Could The NFL Learn A Thing Or Two From The AAF?